Last January I laid out my predictions for the economy and other financial indicators for the Year 2010. I thought that it would be interesting to look back at my predictions and the predictions of a few other people now that the year is almost over. Stocks will run out of steam and slow to a normal growth rate of 8% gain again in 2010. The S&P 500 Index will end at 1,250 and the Dow Jones Industrial Average will finish this year at 11,500. Unemployment will finish the year at 8%. We will see the end of the popularity of frugality. America will see a steady, healthy 3% inflation rate. Home values will stabilize and return to 3% annual growth. The Federal Reserve will raise the Federal Funds Rate to 0.75%. GDP growth in the US will return to 3%. Mortgage rates and the interest rate on the 10 Year Treasury will increase, steepening the yield curve. The 30 Year Fixed Mortgages will be at a 6.0% interest rate by the end of the year. One of the Big Three automobile manufacturers in Detroit will file for bankruptcy again! Maybe it will be Ford’s turn now. The personal savings rate in America will continue to fall and finish the year at 1.5%. Stocks will run out of steam and slow to a normal growth rate of 8% gain again in 2010. The S&P 500 Index ended at 1,256 and the Dow Jones Industrial Average finished this year at 11,573.as of December 26th, 2010. Unemployment will finish the year at 9.3%. Frugality is still alive and well for the most part. The inflation rate slowed to 1.1%. Home values are still down, and experts still believe that home prices will still be depressed throughout 2011. GDP growth in the United States was 2.5% in the last quarter. The 30 Year Fixed Mortgages are currently still at an all-time low level of 4.97% annual interest rate. Ford has made a huge turnaround, and the other two of the Big Three are doing fine. Car sales continue to be at the lowest level in years. The personal savings rate in America dipped to 5.3% in November. Below Were The Bloggers And CFPs’ Predictions…. I also asked some of the brightest and most respected personal finance bloggers, CFPs, and investing junkies around the blogosphere where they thought the Dow Jones Industrial Average would end up on December 31st, 2010. While I did not wait until the 31st and anything can happen of course, the Dow Jones ended at 11,573.49 on December 26st, 2010. The Dow Jones Industrial Average is not the best indicator for how well the overall stock market is doing because there are a lot of flaws in the number. The index is only comprised of thirty companies for example. While it may be fun to guess what the future holds for the American investor, it is not something that you should get wrapped up around the axle about. Like Ryan stated, preparing your own financial game plan is the most important aspect of financial planning, investing, and preparing for next year and the long term future. So, going forward into this next year, I hope that you have a financial plan. I hope that you have an idea of how you will create a fully funded emergency fund. I hope that you will consider maxing out your Roth IRA and contributing enough to your 401k retirement plan to earn your company’s matching contribution. I hope that you will review your insurance needs. But, most of all, I hope that 2011 will bring you more happiness, health, and wisdom. Your predictions were not bad, but I think you missed the unemployment rate by considerably more than you list. U.S. Bureau of Labor Statistics on 12/15/10 listed the unemployment rate as 9.8%. If we add in those who quit looking for work and underemployed unemployment is 14%, perhaps as high as 17%. Although you listed the correct government statistic for inflation, most folks agree that the government formula is way off…. it doesn’t include things like food, fuel, and clothing. If it did inflation may show as high as 6% or more and rising. 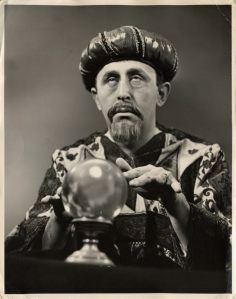 I’m looking forward to your 2011 predictions. Reported in this article is the official unemployment rate as well as the official government statistic for inflation. You are right about the way these statistics are calculated though. The government, not me, underestimates unemployment and inflation by leaving off certain aspects such as those who have quit looking for work and food, fuel, and clothing’s inflation impact. I knew this based on my predictions earlier this year. The issues that you brought up are definitely valid but are a great subject for another article. I assume that the market is a final key for increasing of the economical potentialilty. The market is starting to appreciate many important indicators as : a domestic source; abundant consumption; relatively low price of gas and oil; on the other hand flexuous labor market; level-headed public finance; productive export and many important indicators. I´m looking forward to future economical reality and of course your predictions for 2011. I’m glad I was off by a bit! It is crazy trying to predict the markets. So much can happen that we have no control over. Nice prediction on the Dow Jones. It seems we were all a bit pessimistic on the market. But like you, I mistakenly expected the housing a job markets to follow suit. Let’s hope 2011 is better.